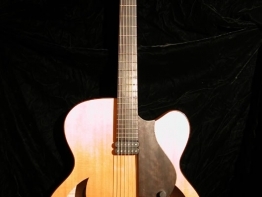 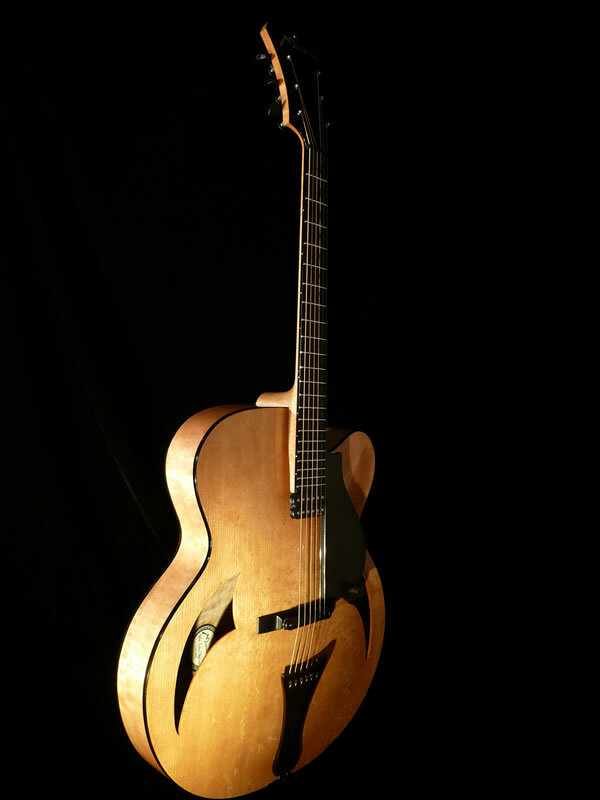 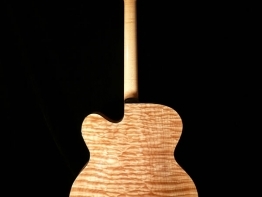 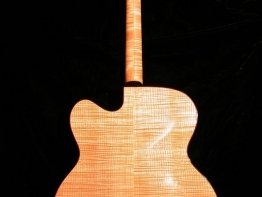 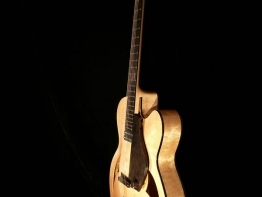 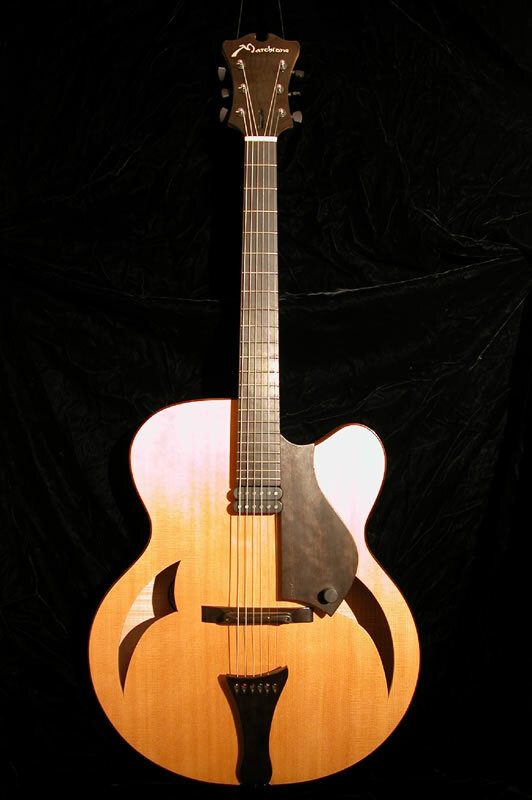 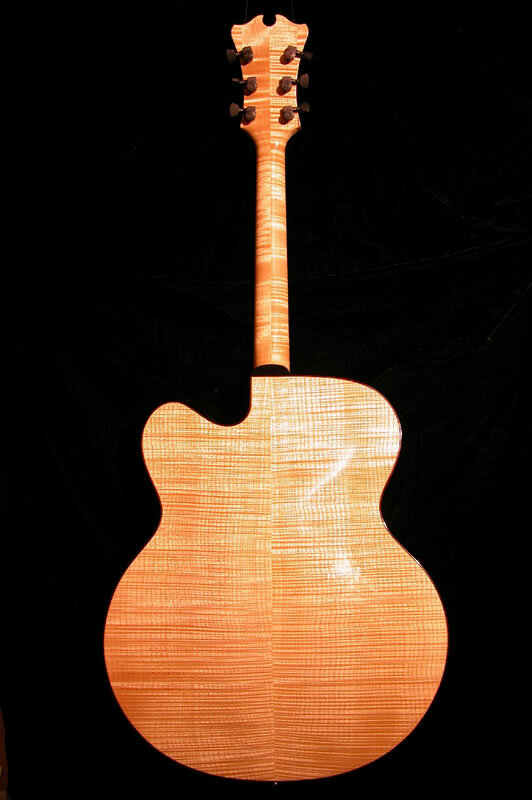 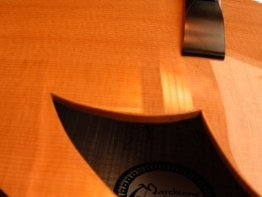 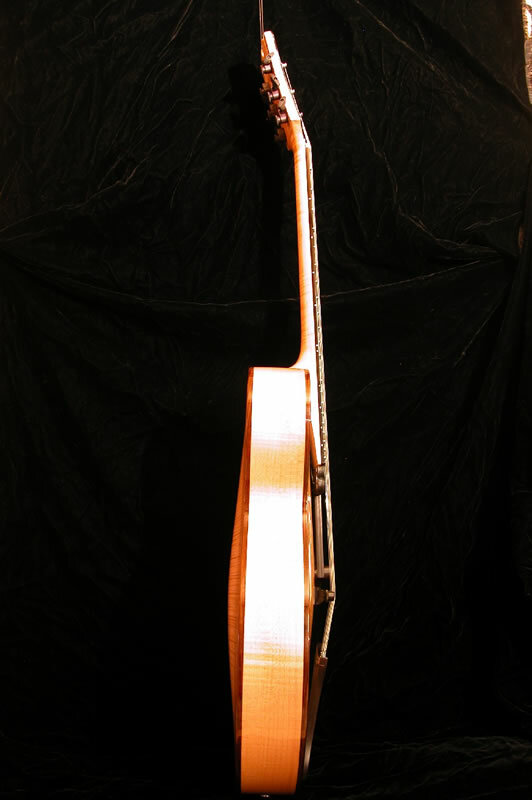 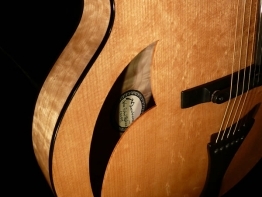 My 18″ Archtop is for the guitarist who wants the best of everything. 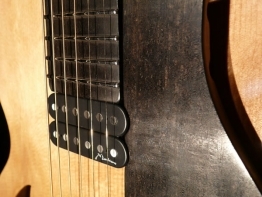 The guitar’s tone is powerful yet delicate when played with either fingers or a pick. 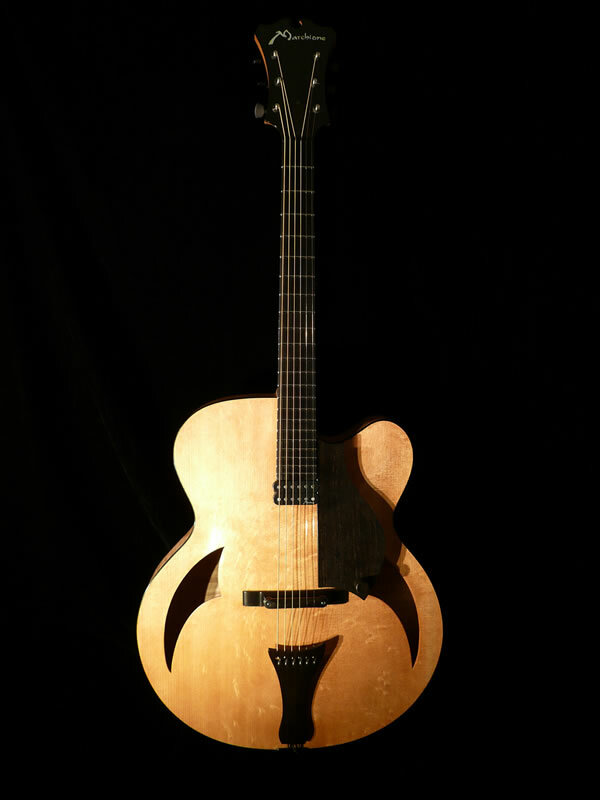 The attack can be penetrating and forceful or ephemeral and elegant. 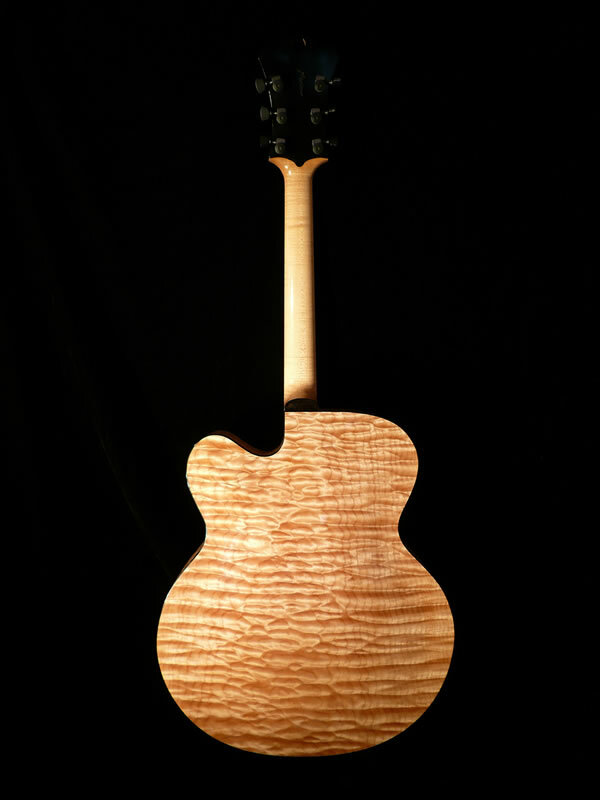 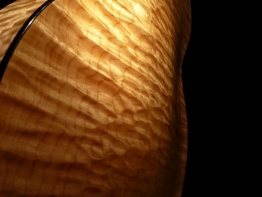 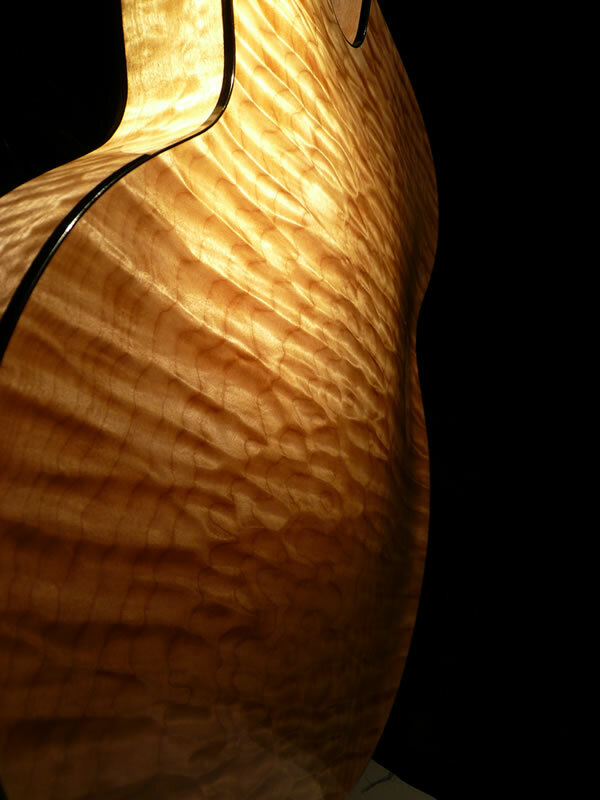 My wood selection is breathtaking and the fit as well as the finish are flawless. 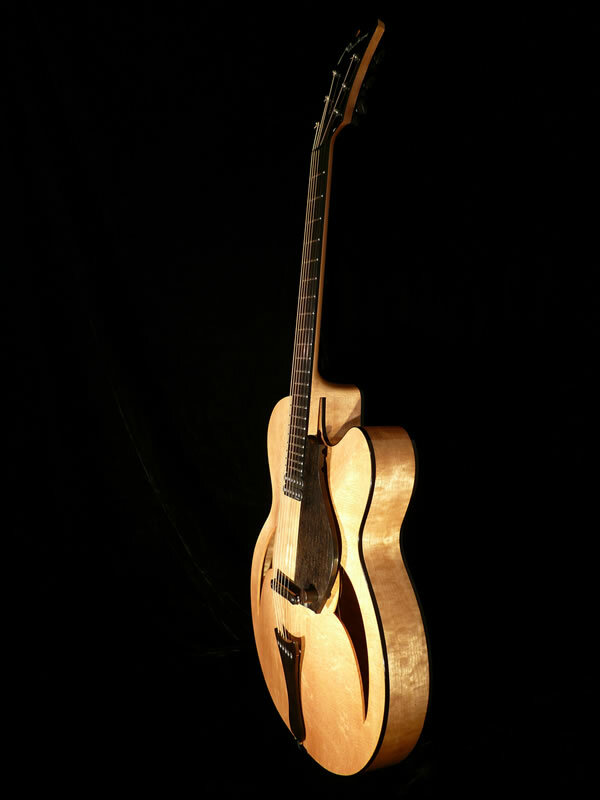 This guitar is for those who won’t compromise on gifts for themselves, as well as for musicians who need to make a bold statement. 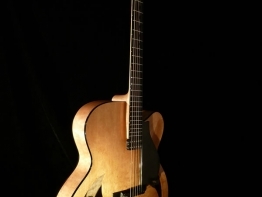 My 18″ Archtop is a true luxury for those who acquire one, and yet, a necessity for those who have played one. 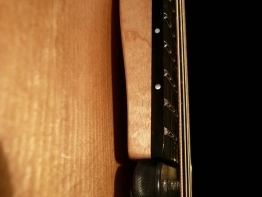 Of course, all joints are hand planed and glued with hot hide glue. 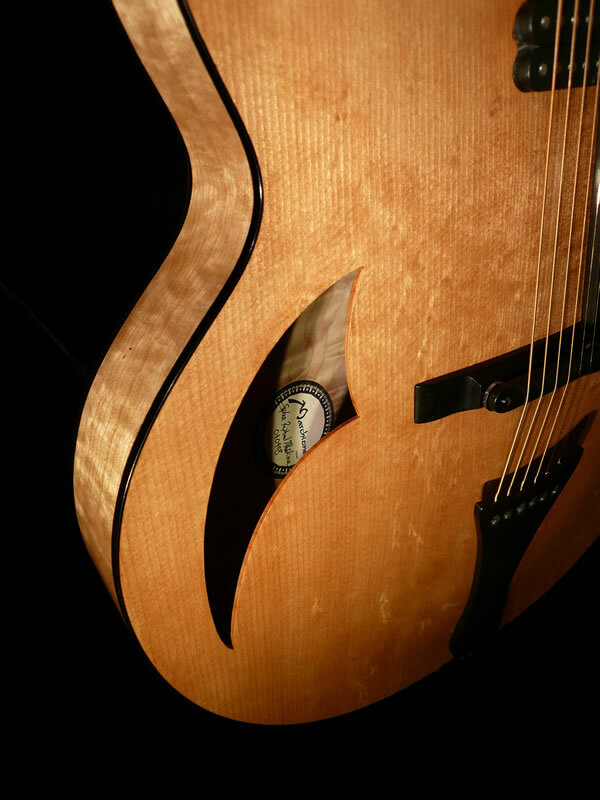 All complex joinery is chalk fit and every aspect of the guitar has been designed for many lifetimes of satisfaction and beauty. 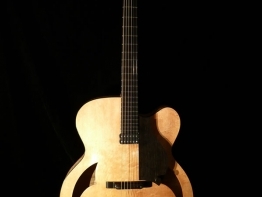 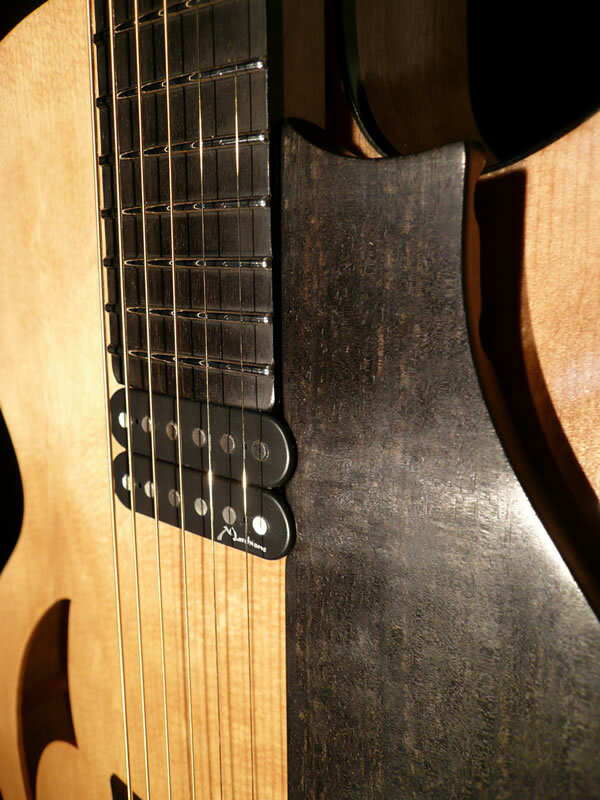 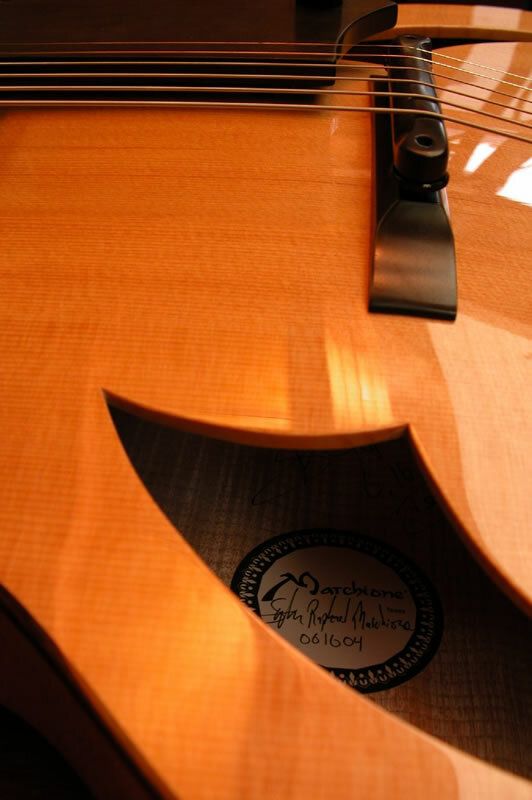 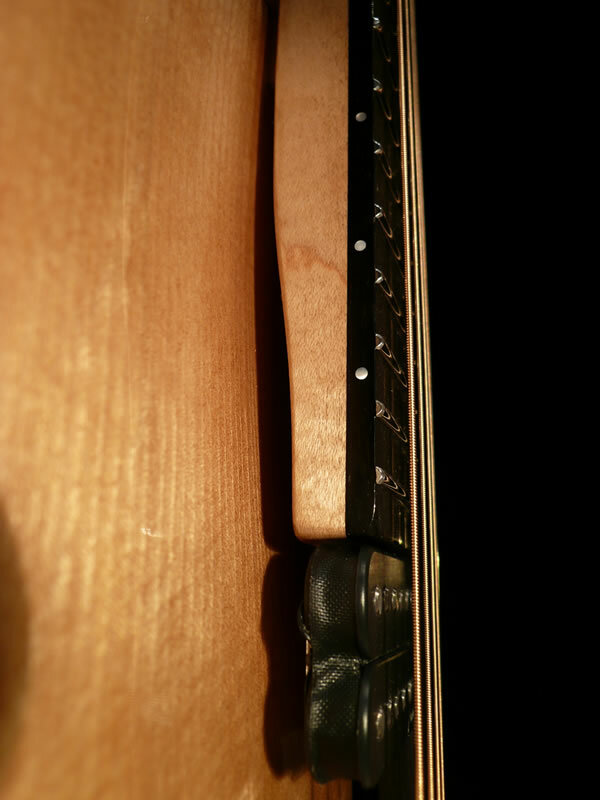 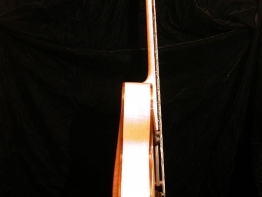 I use the highest grade AAAAA Engelmann Spruce top, highly figured maple back and sides, and African Ebony fingerboard in addition to all wood binding and mother-of-pearl fingerboard inlays to make a truly majestic statement.